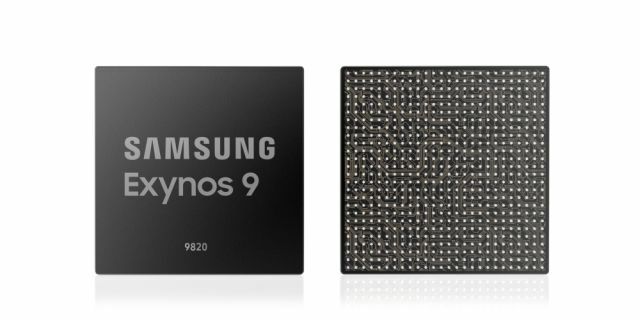 Samsung has finally announced the latest Exynos 9 Series 9820 SoC, with a greater focus on on-device Artificial Intelligence (AI) applications, just like rival flagship SoCs such as the Huawei Kirin 980, Apple A12 and the upcoming Qualcomm Snapdragon flagship chipset. 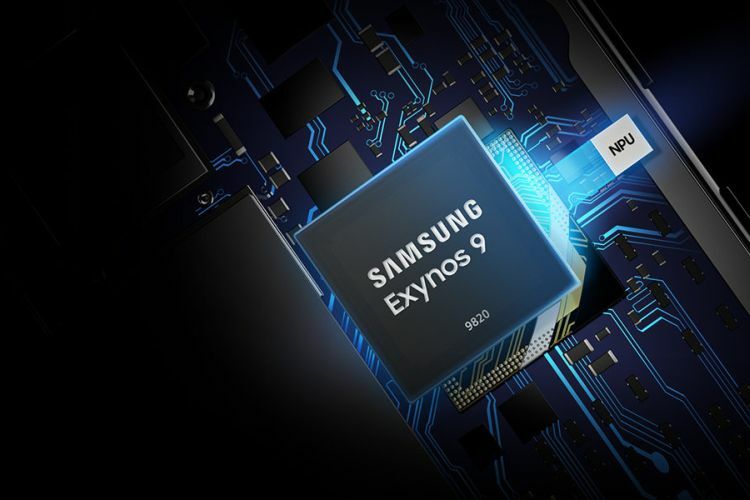 The Exynos 9 Series 9820 is expected to be in mass production by the end of this year, and the chipset is expected to power the Galaxy S10 early next year. 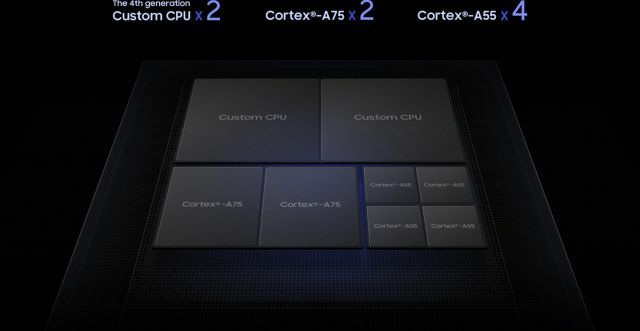 The Exynos 9820 features a separate hardware AI-accelerator which performs AI tasks around seven times faster than its Exynos predecessor. With this NPU, AI-related processing can be carried out directly on the device, which greatly speeds up processing and output, as well as promoting better security of personal information. The NPU will be used for experiences such as instantly adjusting camera settings for a shot based on the scene, or the objects in the frame. It will also automatically adjust augmented or virtual reality (AR or VR) settings. In terms of raw performance, the Exynos 9820 is said to have a new fourth-gen custom core with a 20 percent improvement in single core tests, as well as a massive 40 percent improvement in power efficiency. Multi-core performance is said to have been increased by 15 percent. Samsung says the Mali-G76 GPU cores deliver a 40 percent performance boost when being used, as well as 35 percent power savings in idle state, allowing longer play time of graphic-intensive mobile games or interactive AR applications. Exynos 9820’s multi-format codec (MFC) supports encoding and decoding of 4K UHD video at 150 fps and 8K at 30 fps. The MFC also renders colors in 10-bit for more true-to-life images. In terms of connectivity, you can expect the best in class options from the Exynos 9820. There’s an LTE-Advanced Pro modem in the Exynos 9820 with mobile broadband speeds of 2.0Gbps downlink with 8x carrier aggregation (CA) and 316 megabits-per-second (Mbps) uplink. At these speeds, Samsung says a full HD movie (size around 3.7GB) can be downloaded in about 15 seconds. It also has 4×4 MIMO (Multiple-Input, Multiple-Output), 256-QAM (Quadrature Amplitude Modulation) scheme, and enhanced Licensed-Assisted Access (eLAA) technology.